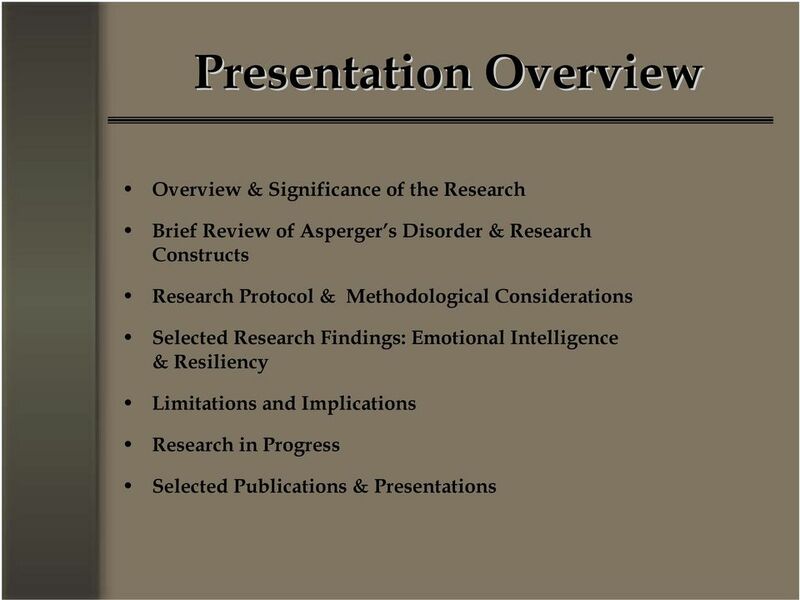 Download "Emotional Intelligence & Resiliency in Asperger s s Disorder"
10 Theory of Mind (ToM) Mindreading or Mentalizing (Baron-Cohen, 1995) The ability to recognize that others have thoughts, feelings, beliefs, and perceptions different from our own (Astington, Harris, & Olson, 1988; Happe & Frith, 1996). 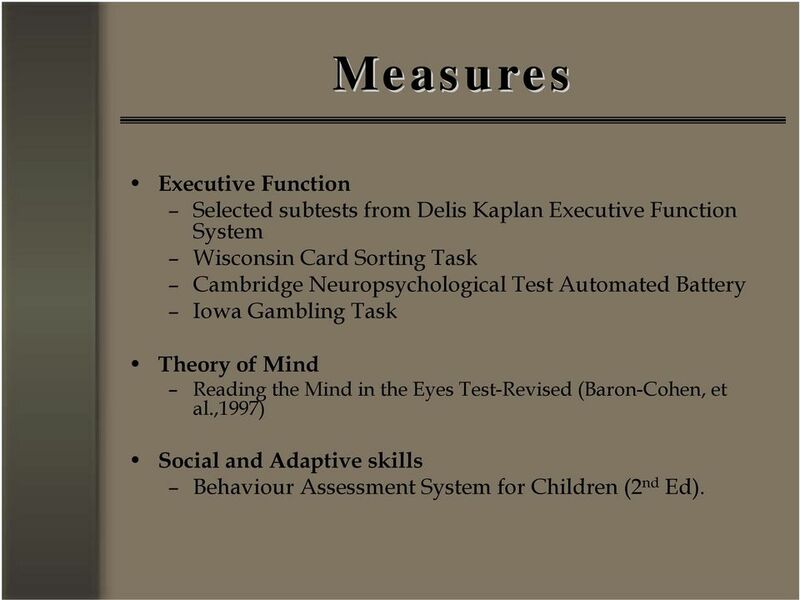 15 Measures Executive Function Selected subtests from Delis Kaplan Executive Function System Wisconsin Card Sorting Task Cambridge Neuropsychological Test Automated Battery Iowa Gambling Task Theory of Mind Reading the Mind in the Eyes Test-Revised (Baron-Cohen, et al.,1997) Social and Adaptive skills Behaviour Assessment System for Children (2 nd Ed). 30 References Astington, J. W., Harris, P. L., & Olson, D. R. (1988). 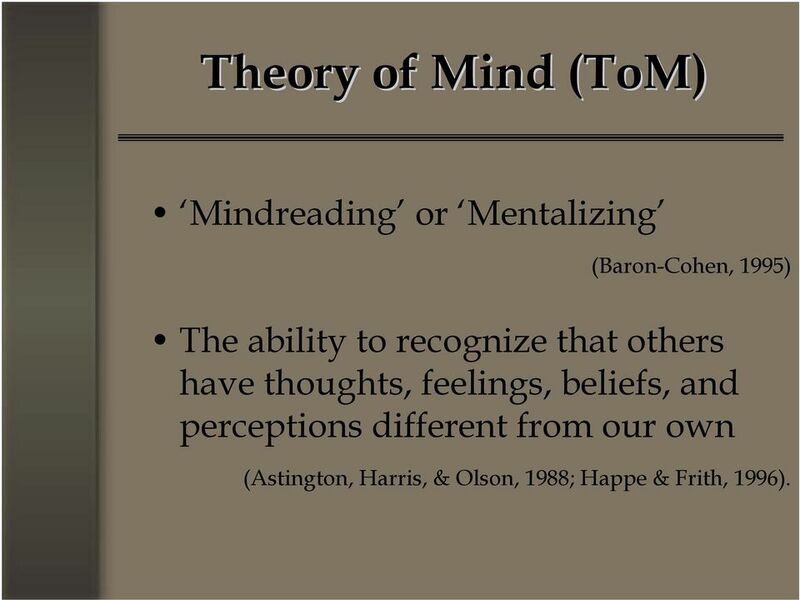 Developing theories of mind. New York: Cambridge University Press. Bar-On, R. (1997). BarOn Emotional Quotient Inventory Technical manual. Ontario: Multi- Health Systems Inc. Bar-On, R. (2003). 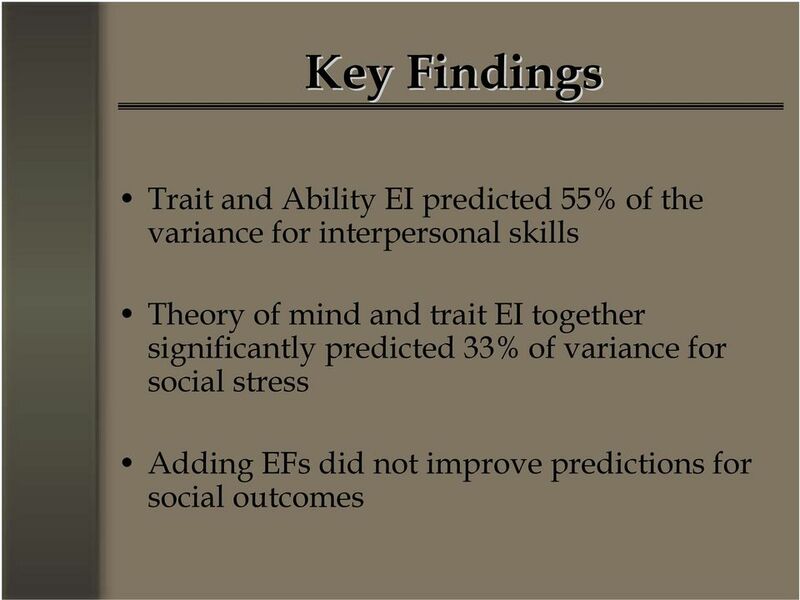 How important is it to educate people to be emotionally and socially intelligent, and can it be done? Perspectives in Education, 21(4), Bar-On, R. (2005). The BarOn emotional quotient inventory: Short. Ontario: Multi-Health Systems Inc. Edward, K. L., & Warelow, P. (2005). Resiliency: When coping is emotionally intelligent. Journal of the American Psychiatric Nurses Association, 11, Fredrickson, B. L. (2001). The role of positive emotions in positive psychology. The broaden-and-build theory of positive emotions. American Psychology, 56, Garmezy, N. (1985). 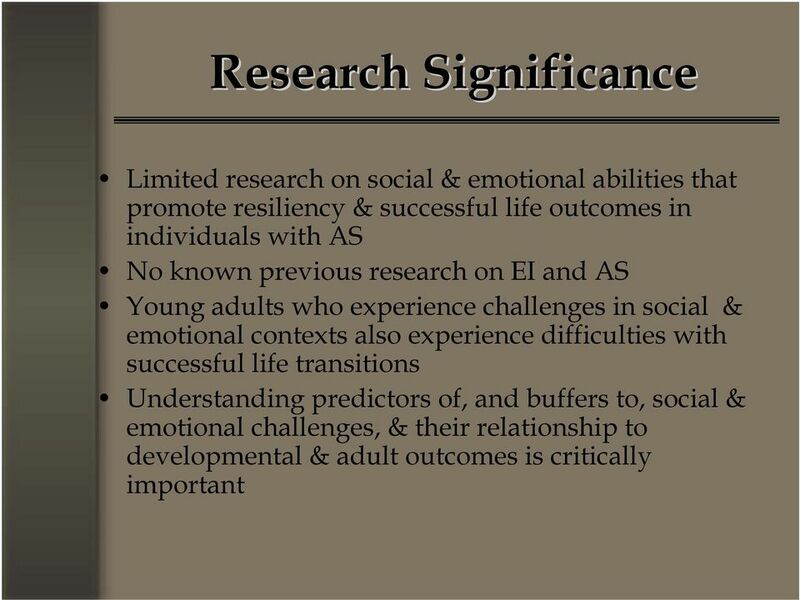 Stress-resistant children: The search for protective factors. In J. E. Stevenson (Ed. 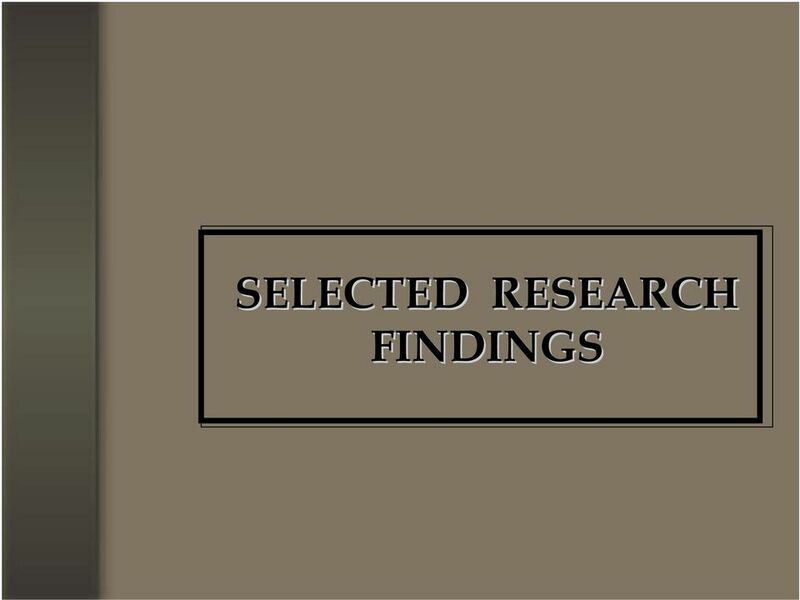 ), Recent Research in Developmental Psychopathology: Journal of Child Psychology and Psychiatry Book Supplement #4 (pp ). Oxford: Pergamon Press. Gutstein, S. E., & Whitney, T. (2002). 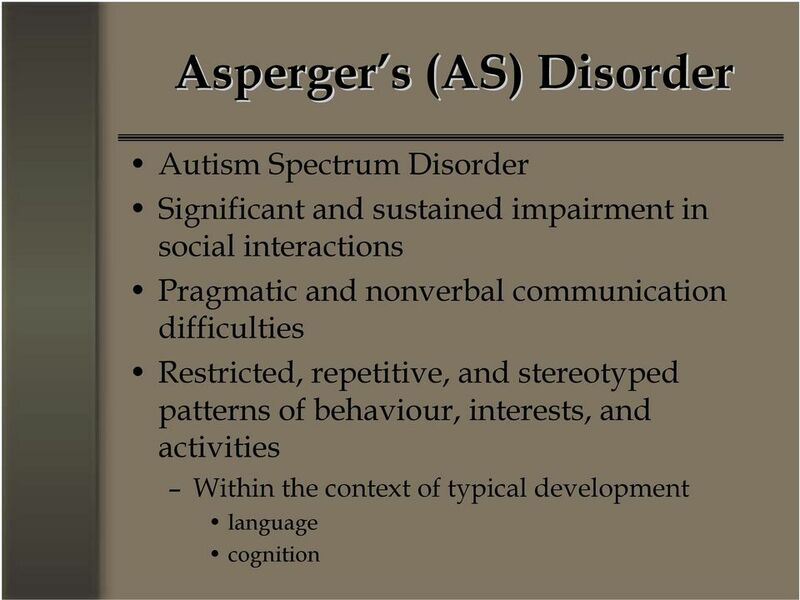 Asperger syndrome and the development of social competence. Focus on Autism and other Developmental Disabilities, 17(16), Hansen, K. (2006, October). 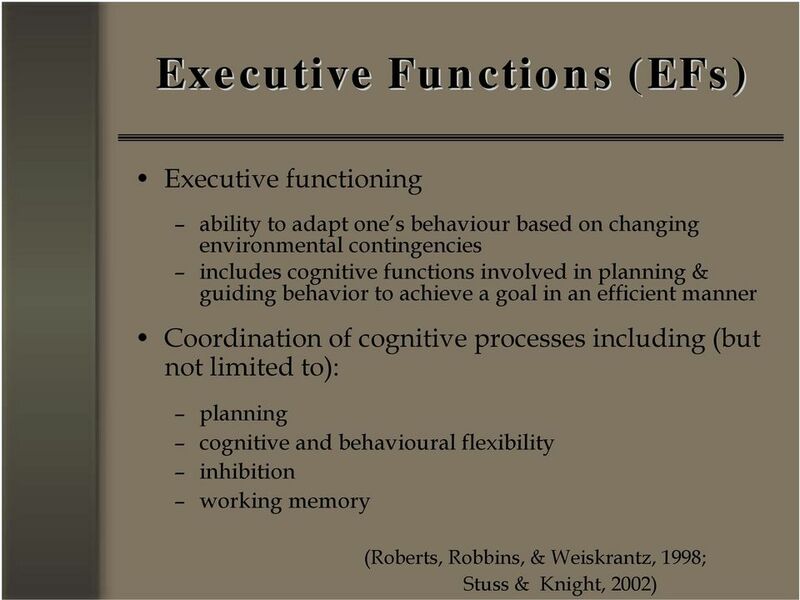 Development of EI in teachers. Paper presented at the Second Annual International Symposium on Emotional Intelligence in Swinburne University of Technology. Melbourne, Australia. 31 References Happe, F. & Frith, U. (1996). The neuropsychology of autism. Lopes, P. N., Salovey, P., Cote, S., & Beers, M. (2005). 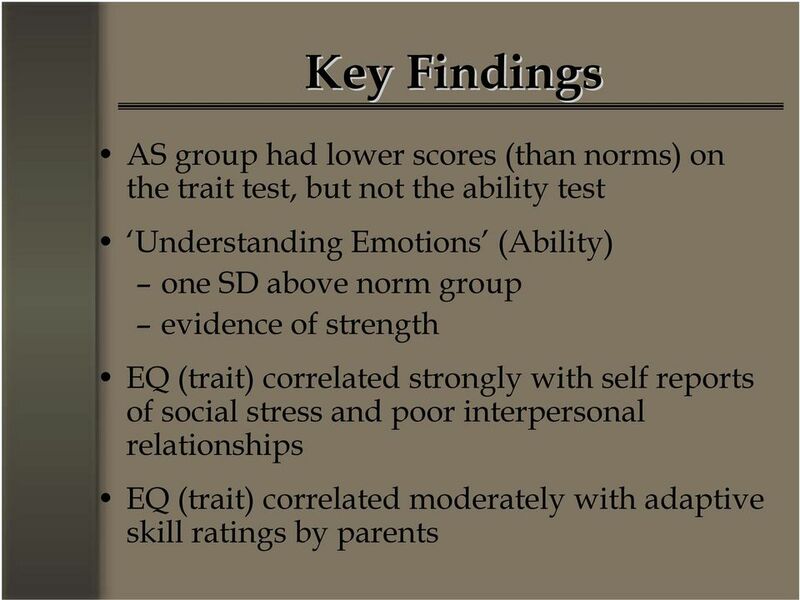 Emotion regulation abilities and the quality of social interaction. Emotion, 5(1), Luthar, S., & Cicchetti, D. (2000). 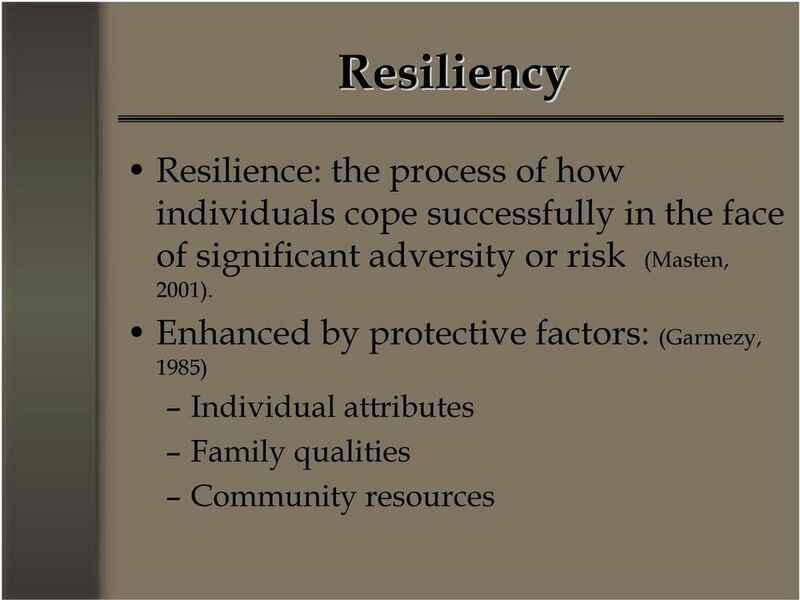 The construct of resilience: Implications for interventions and social policies. Development and Psychopathology, 12, Masten, A. S. (2001). Ordinary magic: Resiliency processes in development. 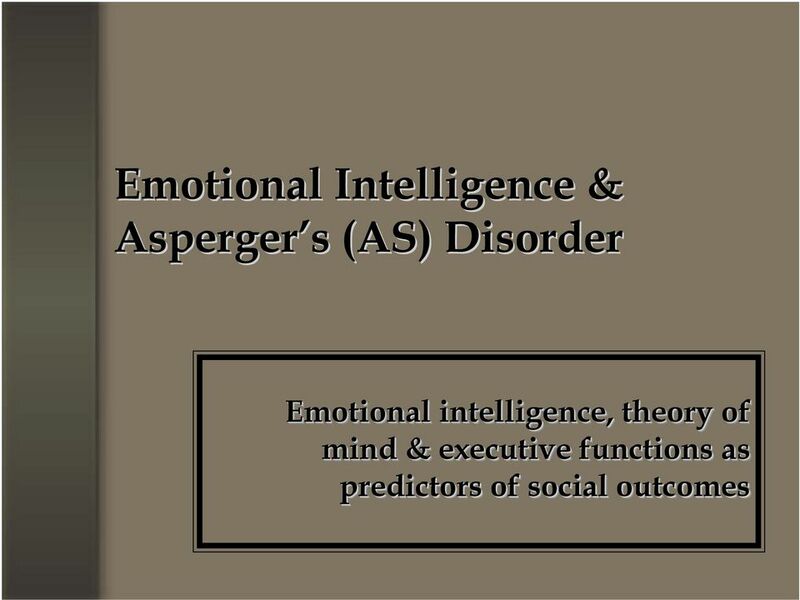 American Psychologist, 56, Reprinted in M. E., Hertzig & E. A. Farber (Eds.) (2005), Annual progress in child psychiatry and child development: New York: Routledge. 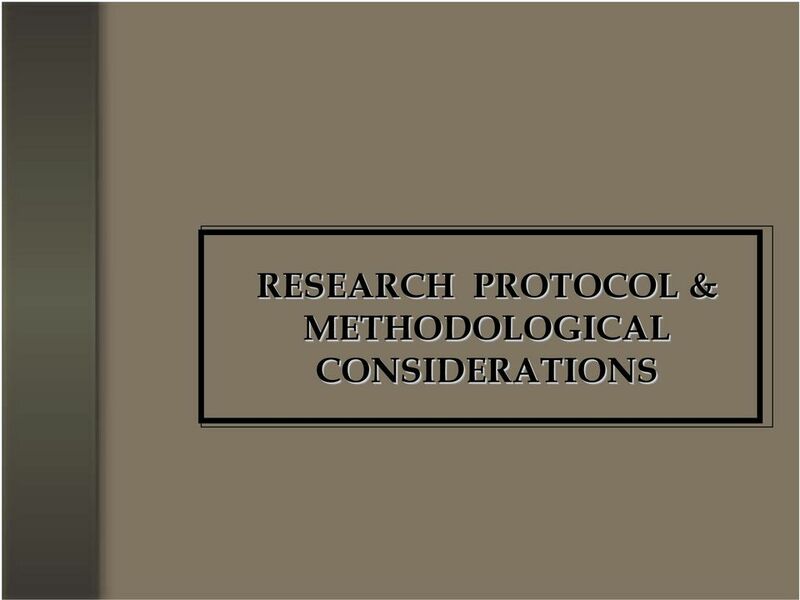 Masten, A. S., & Coatsworth, J. D. (1998). The development of competence in favourable and unfavourable environments: Lessons from successful children. American Psychologist, 53, Mayer, J. D., Salovey, P., & Caruso, D. R. (2002). Mayer-Salovey-Caruso Emotional Intelligence: Test user's manual. Toronto, ON: Multi-Health Systems. Stuss, D.T. & Knight, R.T. (2002). Principles of frontal lobe function. Oxford: Oxford University Press. Southwick, S. M., Vythilingam, M., & Charney, D. S. (2005). The psychobiology of depression and resilience to stress: Implications for prevention and treatment. 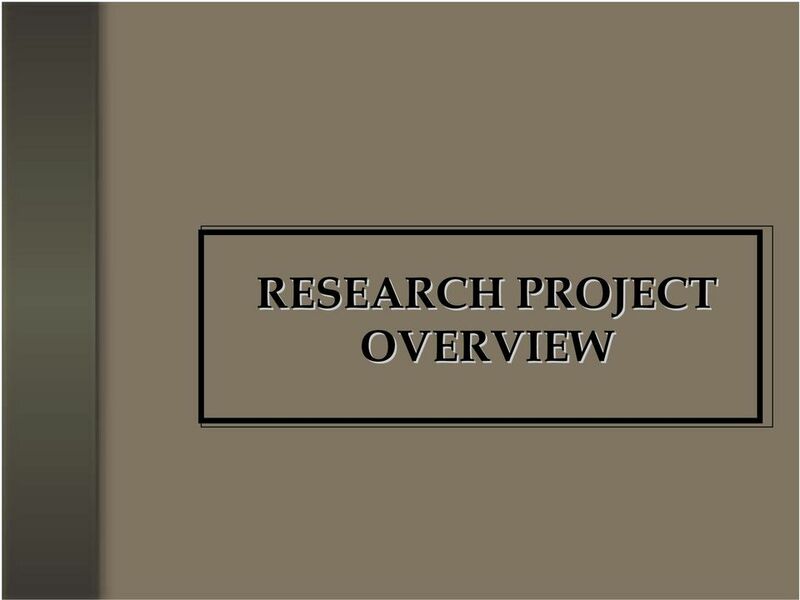 Annual Review of Clinical Psychology, 1, Wade, C., Tavris, C., Saucier, D., & Elias, L. (Eds.) (2004). Psychology: Canadian edition. Toronto, Ontario: Pearson Education Canada Inc.
32 Selected Publications and Presentations Montgomery, J., Dyke, D.I. & Hindes, Y. (2008). The Spectrum at School: Approaches and Strategies for Youth with Autism Spectrum Disorders. Workshop presented at the Annual St. Amant Conference. Montgomery, J., Dyke, D.I. & Schwean, V.L. (2008). 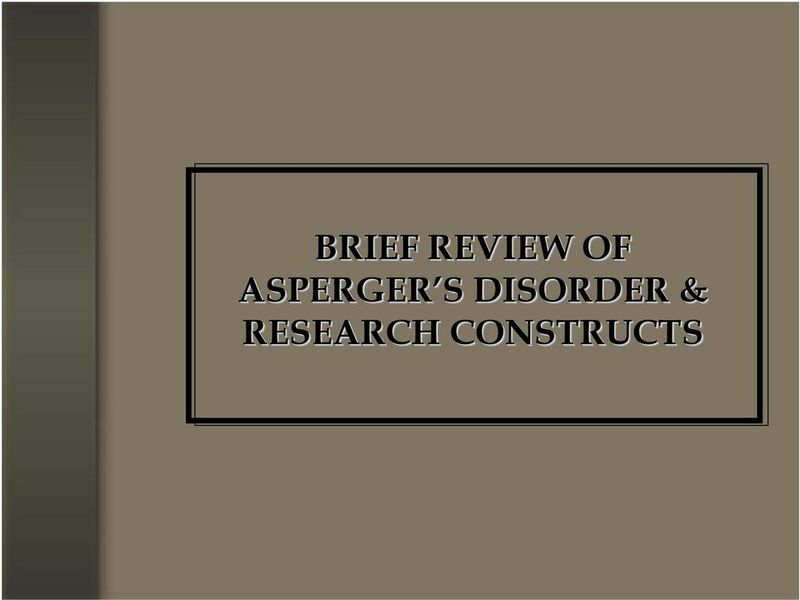 Autism spectrum disorders: WISC-IV Applications for clinical assessment and intervention. In A. Prifitera, D.H. Saklofske & L.G. Weiss (Eds.) WISC-IV Clinical assessment and intervention 2e. San Diego, Academic Press. Montgomery, J. M., Schwean, V. L., Burt, J. G., Dyke, D. I., Thorne, K. J., Hindes, Y. L., McCrimmon, A. W., & Kohut, C. S. (2008). 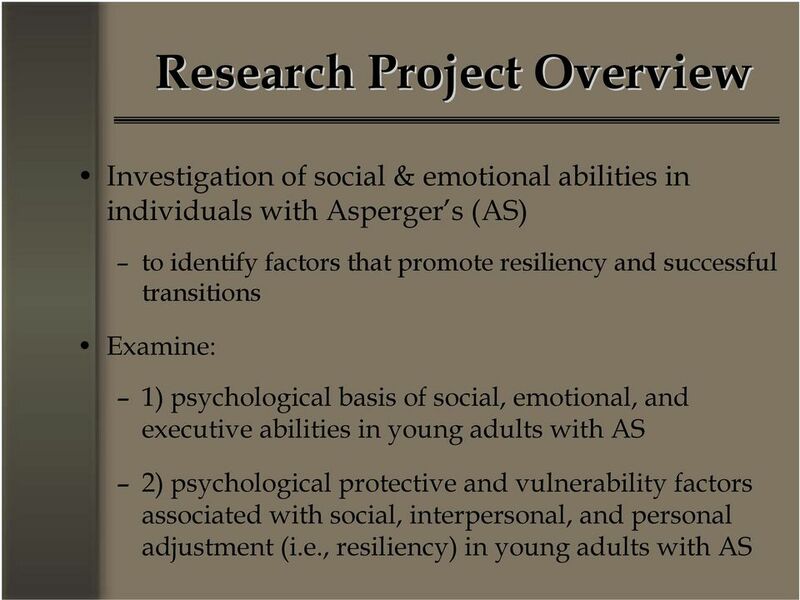 Emotional Intelligence and Resiliency in Young Adults With Asperger's Disorder: Challenges and Opportunities. 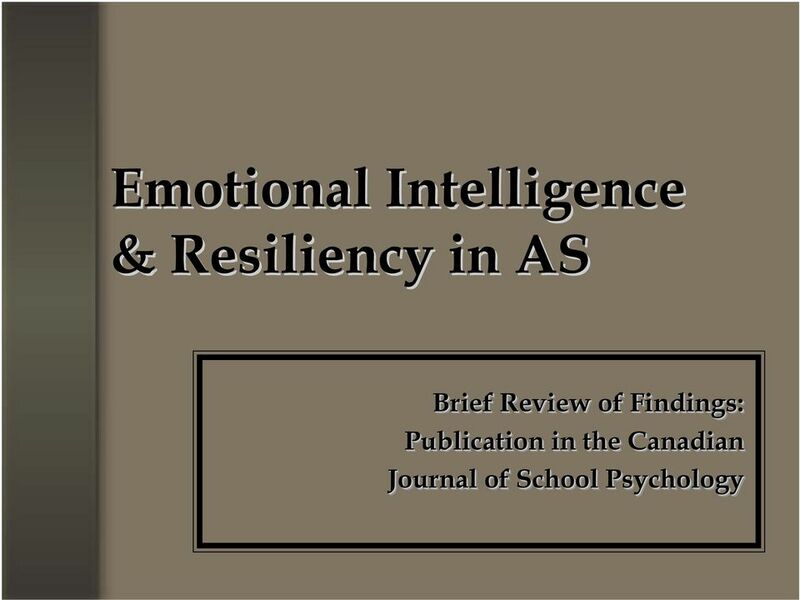 Canadian Journal of School Psychology, 23, 1, Dyke, D. I., Schwean, V. L., Saklofske, D. H., Montgomery, J., McCrimmon, A., Hindes, Y., Thorne, K., Burt, J. & Kohut, C. (2008, June). Executive specificity in youth with autism spectrum disorder: An update. 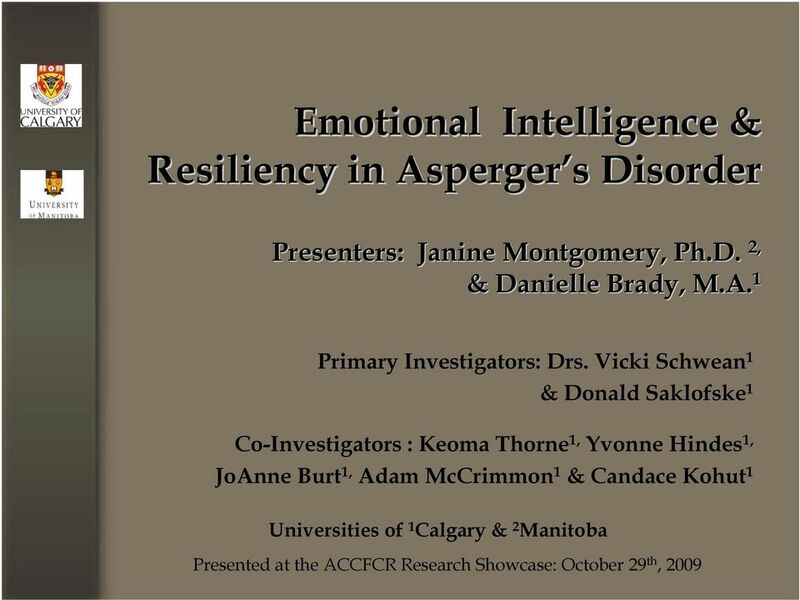 Symposium presentation at the Annual Convention of the Canadian Psychological Association. 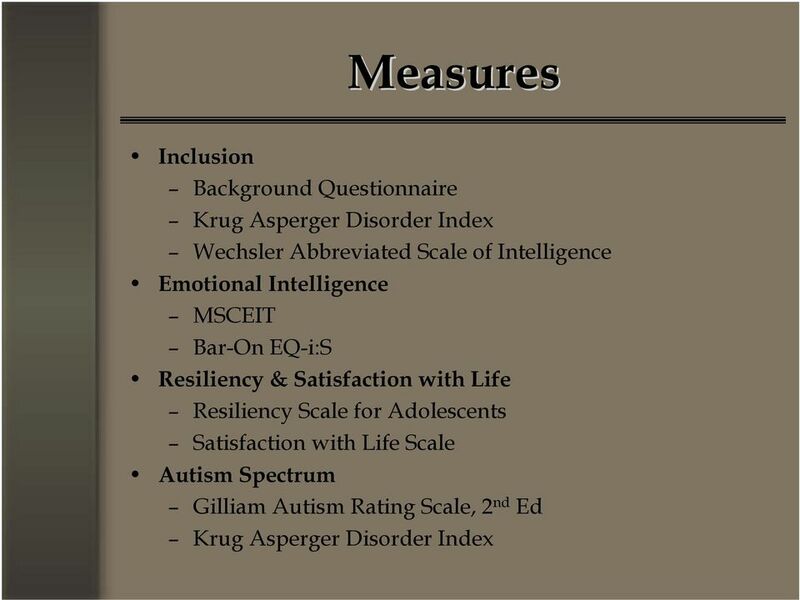 Components of an Effective Evaluation for Autism Spectrum Disorder Lara M. Mattox, Ph.D. Clinical Psychologist Tulsa Developmental Pediatrics & Center for Family Psychology Why is Evaluation Important?? Cognitive behavioral therapy (CBT) may improve the home behavior of children with Attention Deficit/Hyperactivity Disorder (ADHD). ADHD 4 Cognitive behavioral therapy (CBT) may improve the home behavior of children with Attention Deficit/Hyperactivity Disorder (ADHD). CITATION: Fehlings, D. L., Roberts, W., Humphries, T., Dawe, G.
Hong Kong Teachers Centre Journal,Vol. 4 Hong Kong Teachers Centre 2005 Bullying among school children a psychological analysis Abstract Keywords 141 142 143 144 145 146 147 Austin, S., & Joseph, S. (1996). Risk and Resilience 101 July 2004 Thirty years ago, most prevention efforts relied on fear. They tried to convince young people that smoking or using drugs would damage their health and ruin their futures. About Thrive! About Autism Spectrum Disorders Autism Spectrum Disorders (ASD) refers to a group of developmental disorders that affect a person s verbal and non-verbal communication and social interaction. Program Evaluation of a Behaviour Therapy Group for Parents of Children with Developmental Disabilities Ages Four to Seven.